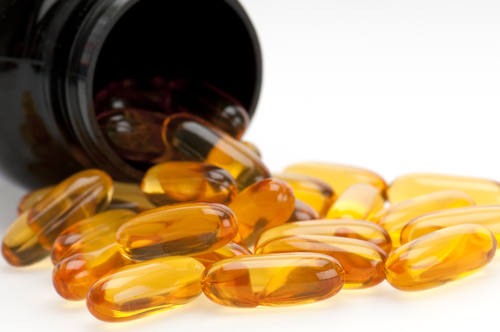 One fat burning supplement that's received a lot of press is conjugated linoleic acid or CLA. Part of its fame might be due to being featured on Dr. Oz's TV show and on his website multiple times. As with all diet supplements – and especially fat burners – the question is whether evidence supports the claims. This review will attempt to clarify what's known about CLA as a weight loss supplement, its side effects, and identify alternatives. Conjugated linoleic acid is a derivative of linoleic acid, an omega-6 polyunsaturated fatty acid. Our bodies do not produce this type of fatty acid naturally, therefore we have to get it from our diets. Conjugated linoleic acid, however, is different than linoleic acid. The difference comes down to the way the molecules are structured. Linoleic acid molecules contain two cis bonds, whereas conjugated linoleic acid contains a trans bond, thus qualifying it as a trans fatty acid. Conjugated Linoleic Acid is found in ruminant mammals, which includes cattle. Beef and dairy are therefore common sources of dietary CLA. Linoleic acid in its unconjugated form occurs naturally in certain nuts and plants. Corn oil, soybean oil, grapeseed oil, hemp oil and safflower oil all contain significant amounts of linoleic acid. Important note: Linoleic acid the polyunsaturated fat gets lumped together with CLA on many health websites. But they are not the same thing, and a natural source of linoleic acid is not necessarily a source of CLA. Safflower oil, for example, is often described as a source of CLA. In truth, safflower oil is not a significant source of CLA. The CLA safflower oil supplements on the market today generally derive CLA from linoleic acid through an industrial process. Interestingly, researchers were interested in CLA as a cancer cell inhibitor, after noticing the apparent anti-carcinogenic effects of ground beef. Subsequent research suggests that CLA supplementation could indeed have an effect on tumor growth in breast tissue, but further research is needed to clarify. Some research has also been done on CLA's ability to boost the immune system and decrease inflammation. Still much of this research has been done using animal models, but investigations are continuing. In the past 15 years, CLA has been touted as a powerful weight loss supplement. It is unclear where the idea that CLA promotes fat burning originated. It likely coincided with the rise of “functional foods” (foods thought to have specific health or medicinal effects) in the nutrition world a couple decades back. CLA as a fat burning supplement was initially studied in animals. A 1997 study published in Lipids found mice fed a diet supplemented with CLA had significantly lower body fat than control mice. Similar results were subsequently found by other researchers. Does CLA Cause Weight Loss In Humans? The evidence for CLA as a weight loss supplement in humans is mixed. A 2015 review paper published in Nutrition & Metabolism provides an extensive summary of studies of CLA and fat loss in human subjects. They found that there were at least a dozen studies showing a reduction in body weight or body fat using different measures. These included studies using food enriched with CLA as well as commercial CLA supplements. Study length ranged from 4 weeks to 36 weeks. They also found several studies that showed no increase in fat loss in groups using CLA. For example, one study measured body composition in a group of 71 obese men and women ages 20 to 50, comparing the effect of taking a CLA supplement versus a placebo. The study found no difference in body composition in the group taking CLA. From the aforesaid reports, it seems that a minimum daily dose (about 3 g/human) is required to induce reduction in fat. Some clinical studies suggested that administration of CLA might be the most effective strategy in controlling regionalized reduction of fat mass rather than its constitutional reduction, i.e., uniformly in the whole body. For instance, administration of 3.4 g/d CLA for 6 month reduced fat mass significantly in legs. The capacity of CLA to alter the body composition positively by reducing the fat mass was proved in experimental models, and, in some studies on human beings. In fact, few studies have evaluated the use of CLA alone or in combination with physical exercise in humans, regarding changes in body composition. Therefore, the clinical evidence appears to be insufficient and not unanimous regarding the effects on body fat reduction and major side effects have already been described. The best available CLA weight loss reviews show that there isn't strong evidence for CLA as a powerful fat burner. Some studies demonstrate increased fat loss in subjects taking CLA, either in supplement form or as enriched dairy milk. Studies suggest that the optimal CLA dosage for weight loss is at least 3 grams. Given that the evidence is inconclusive, CLA supplements for weight loss should be used with caution. They may help with weight loss, but the difference could be minimal, and they have a risk of side effects. Oxidative stress can cause damage to cells, and over the long term can lead to heart disease and cancer (source). Keep in mind that these side effects have been seen in people who used CLA supplements, not in naturally occurring conjugated linoleic acid. One of the most popular CLA supplements on the market today is safflower oil. Safflower oil is a rich source of linoleic acid. Conjugated linoleic acid, however, is not present in high amounts in. Our own gut bacteria may also convert a small amount of linoleic acid to CLA. Commercial dosage is usually at least the minimum of 3g that was frequently used in studies. As a CLA supplement, users will have the same risk of side effects as was described in the reviews above. This includes the chance for serious long term health problems due to oxidative stress. Due to the inconclusive clinical evidence, and the risk for side effects, we do not recommend taking CLA safflower oil as a diet or athletic supplement. For safe and long term weight loss, we recommend a diet plan based on quality food choices coupled with exercise. Supplements for weight loss can be a helpful addition but are not a substitute for sensible eating choices. If you do choose to use a supplement our list of medically proven weight loss supplements for help.